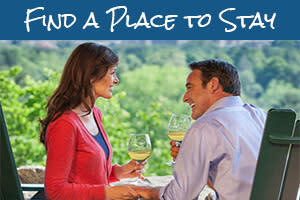 It&apos;s not hard to fall in love with Asheville. The mountain vistas, the Biltmore, the dining scene, the festivals, the beer and the music may all come to mind when you daydream of this Blue Ridge Mountain town. 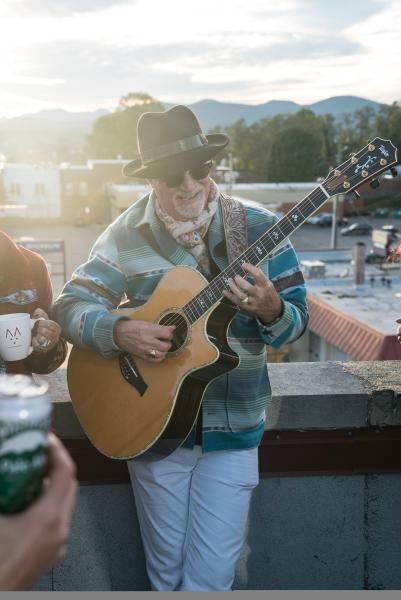 Don Clayton, a long-time Asheville resident, has been so inspired by the Asheville experience that he decided to write a song that captures Asheville’s essence—and then record it with more than a dozen local artists to serve as an anthem to the city. 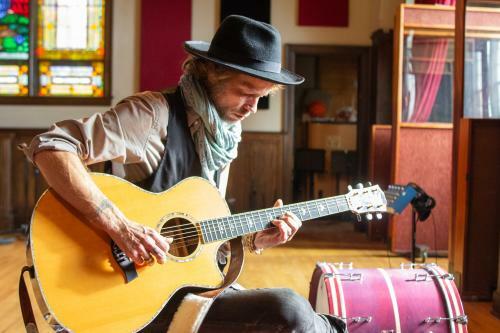 “When thinking about all the things that make Asheville such a wonderful place, it was almost like thinking about writing a love song to Asheville,” Clayton said. More than 15 local musicians, from country artist Don Clayton to Appalachian soul singer Woody Wood, from blues songstress Kat Williams to hip-hop emcee Mook, are featured on the record. The song and video also highlight bands such as Empire Strikes Brass and the Resonant Rogues. And, the song was recorded right here in downtown Asheville at the nationally-recognized Echo Mountain Recording Studios. “It’s sort of a ‘We are the World’ collaborative effort,” Clayton said. Along with the song is a music video. The video takes you on a visual journey through Asheville, showcasing the culturally rich experiences you’ll find here in the Land of the Sky. How did Asheville get the nickname Land of the Sky? 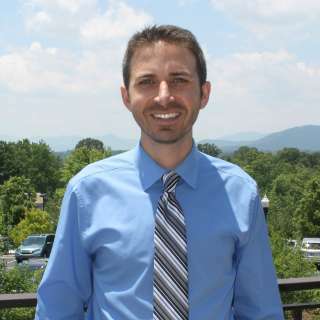 The fitting nickname for Asheville came about more than a century ago when author Francis Tiernan published the novel “Land of the Sky: Adventures in Mountain By-Ways” in 1876. She used the nickname to describe the Blue Ridge and Great Smoky Mountains, and it simply stuck. The Land of Sky music video provides a window into the Asheville music scene, from street performances to stage shows to festivals. Throughout the video, you see buskers (street performers). Asheville’s many talented buskers provide the soundtrack for city. You’ll find them on nearly every corner downtown. 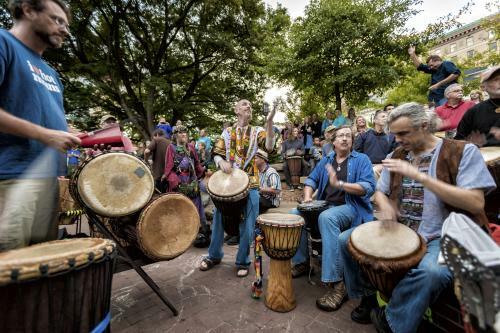 About two minutes into the video, Asheville’s Drum Circle is on display. 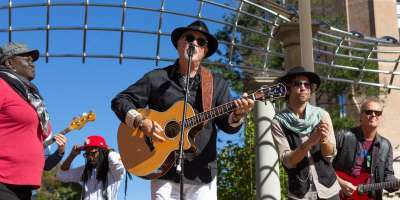 Every Friday night in the rounded outdoor amphitheater of downtown&apos;s Pritchard Park people join together to play thundering sounds on the drums, dance to the powerful rhythms, or just sit back and enjoy the show of individuality and diverse community. 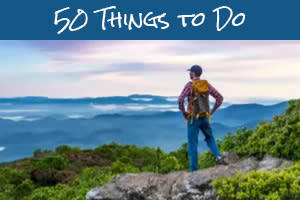 See our guide to this truly Asheville tradition. 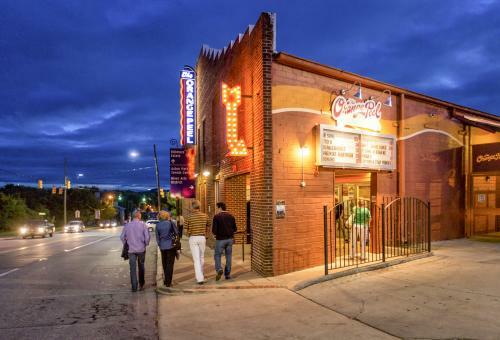 Don Clayton sings about The Orange Peel, Asheville’s most recognizable music venue, where local, regional, national and international performers take the stage each week. Throughout the video, you also get glimpses at other music venues in town such as Tressa&apos;s Jazz and Blues Club, where you see Kat Williams performing. Check out our Asheville music venue guide to learn about the city’s iconic music venues along with the under-the-radar smaller venues that are sure to provide you an intimate music experience. Thanks to the wealth of music venues in Asheville, you can hear live music each and every night of the week! See our easy-to-search live music calendar for details on upcoming shows during your visit. In addition to the nightly music shows, Asheville has a full lineup of music festivals throughout the year. Among the festivals highlighted in the video is LEAF, a music and cultural arts festival that takes place in Black Mountain and downtown Asheville each year. The festival features a lineup of international, national and regional performers. Local Asheville artists and performers such as Unifire Theatre entertain the audience. Take a look our at-a-glance guide to the best music events in Asheville. And, if you want to hear more of the performers you see in the video, tune into Explore Asheville Radio. Our free, online streaming radio player helps you enjoy the sounds of Asheville no matter where you are! We’ve added a special playlist highlighting the singers and musicians you hear and see in the Land of the Sky video. Sit back and relax to the music of Devils in Dust, Alex Krug, Josh Blake, Spaceman Jones and other top Asheville artists. Photo credits: Top photo and Woody Wood photos by Reggie Tidwell. Don Clayton photo by Nick Iway. Drum Circle and Orange Peel photos by Art Meripol.